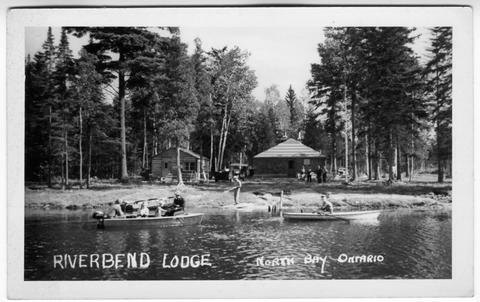 The message area has the following information: Mr. & Mrs. J. D. Foster, Riverbend Lodge, North Bay, Ontario. Jo-Ann Foster. JOHN.